Over the past six decades, the rapid advances in transplant surgery rank among the most impressive and significant in modern human history. But the procedures, which have an astonishing power to improve or even save lives, are often fraught with an unrivaled level of complexity. Seeking to better understand the world of transplant surgery, Lee Gutkind embedded himself for four years in the University of Pittsburgh’s Presbyterian-University and Children’s Hospitals, one of the largest transplant centers in the world. He got to know the doctors, researchers, patients, and families involved, while also exploring the history of transplantation and the often insoluble ethical quandaries it poses. 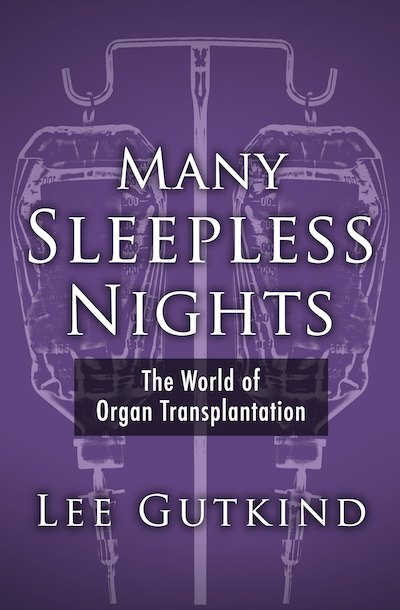 Mesmerizing and unforgettable, Many Sleepless Nights depicts with uncanny insight the tremendous effort, suffering, and fortitude of the individuals whose lives have been changed forever by organ transplantation.